Solve It! A board game allows players to trade game pieces of equal value. The diagram shows two fair trades. The hotel is worth $2400. 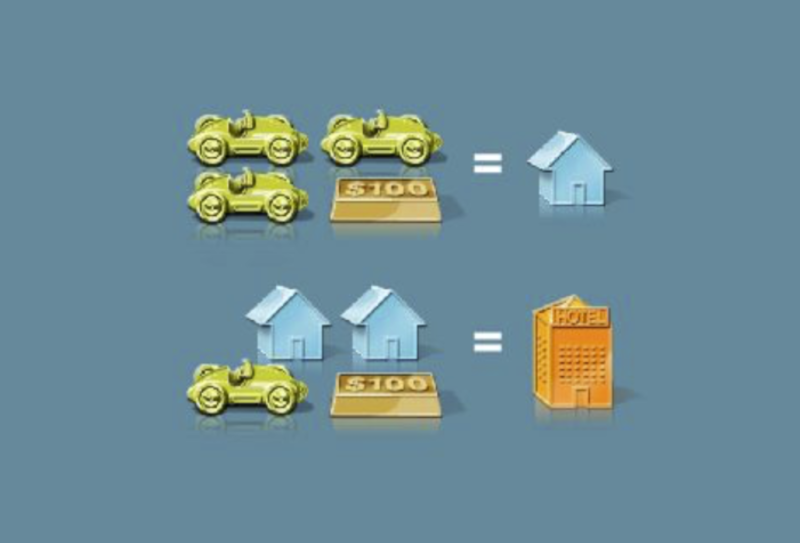 How much is a car worth? Use a dollar sign in your response and enter only the amount. Problem 2 Got It? 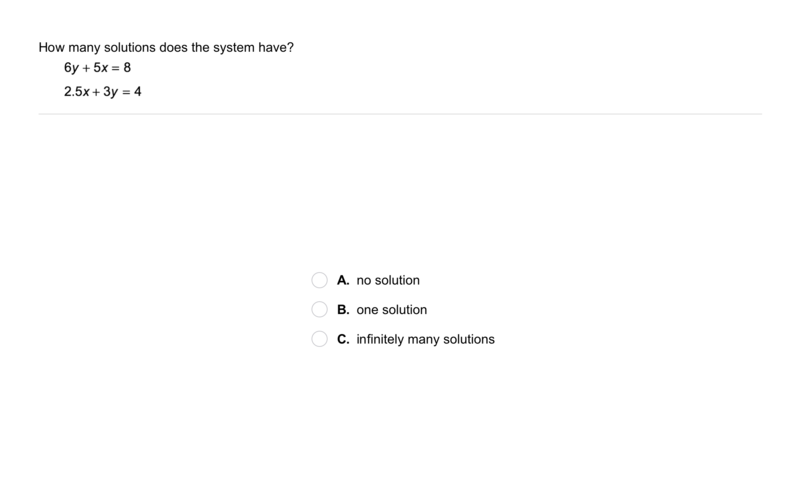 What is the solution of the system? Use substitution. Show your work. Problem 2 Got It? 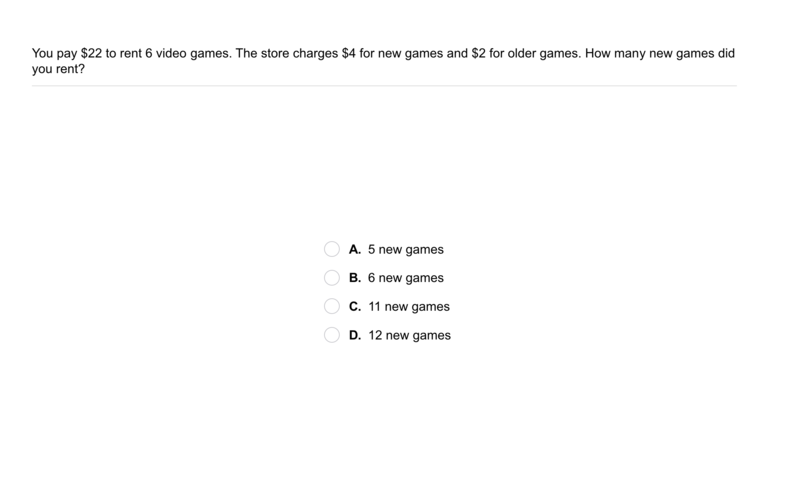 Reasoning: In your first step in the previous item, which variable did you solve for? Which equation did you use to solve for the variable? 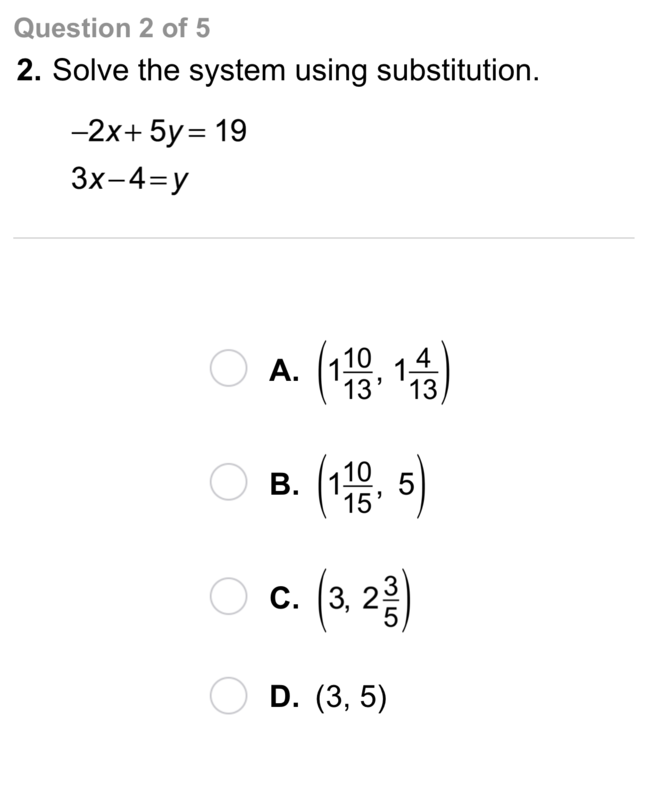 Please follow the directions to solve each system using substitution before checking your work by graphing using the embedded Desmos graphing calculator below. 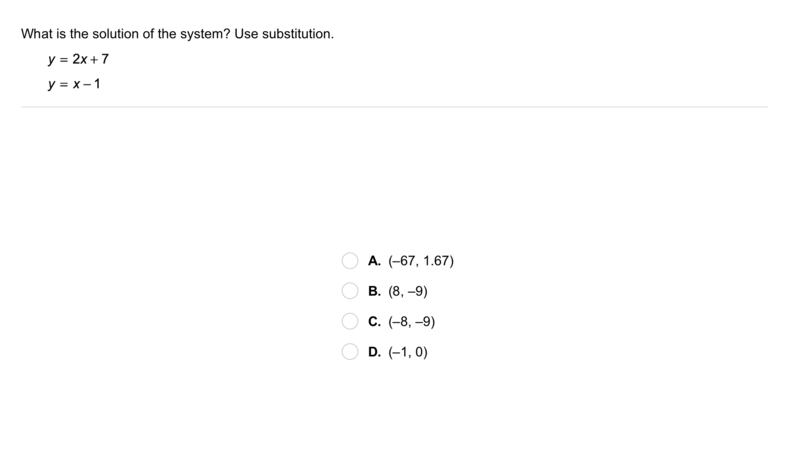 Analysis: For the given system, tell which equation you would first use to solve for a variable in the first step of the substitution method. Explain your choice. True or False: Tell whether the statement is true or false. Explain. 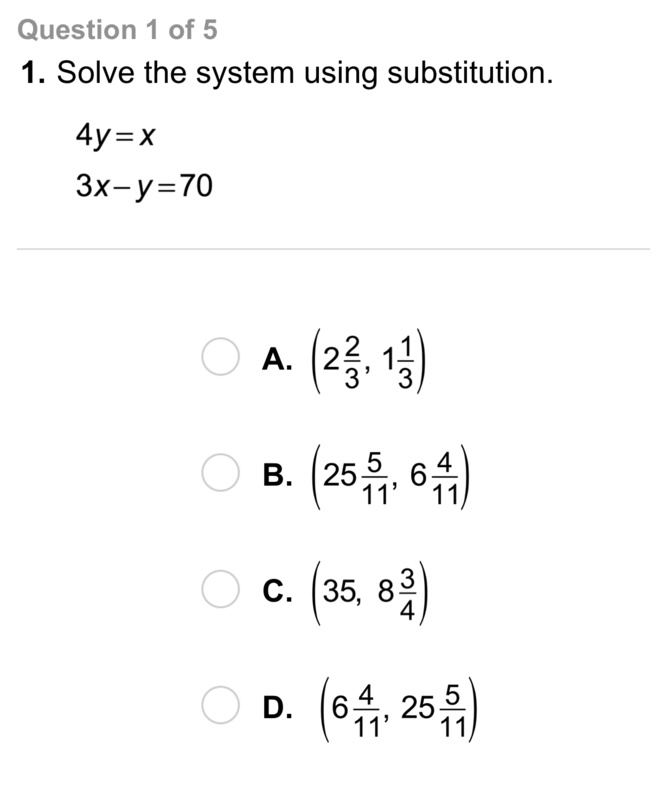 When solving a system using substitution, if you obtain an identity, then the system has no solution. 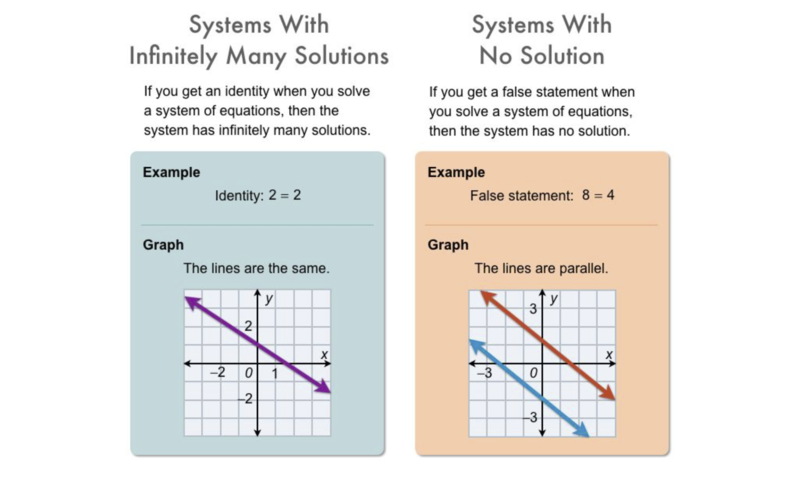 You cannot use substitution to solve a system that does not have a variable with a coefficient of 1 or -1.
Review Lesson 6-1: Solve each system by graphing. You may use the embedded Desmos graphing ulitity above. 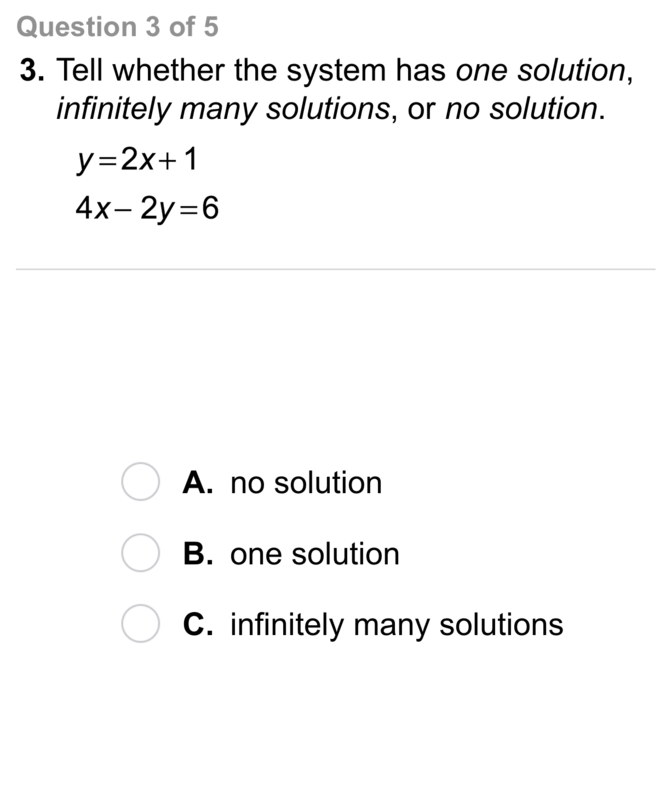 Identify the solution(s) and number of solutions of each system. Some labels may not be used. Review Lesson 5-6: Find the slope of a line perpendicular to the graph of each equation. 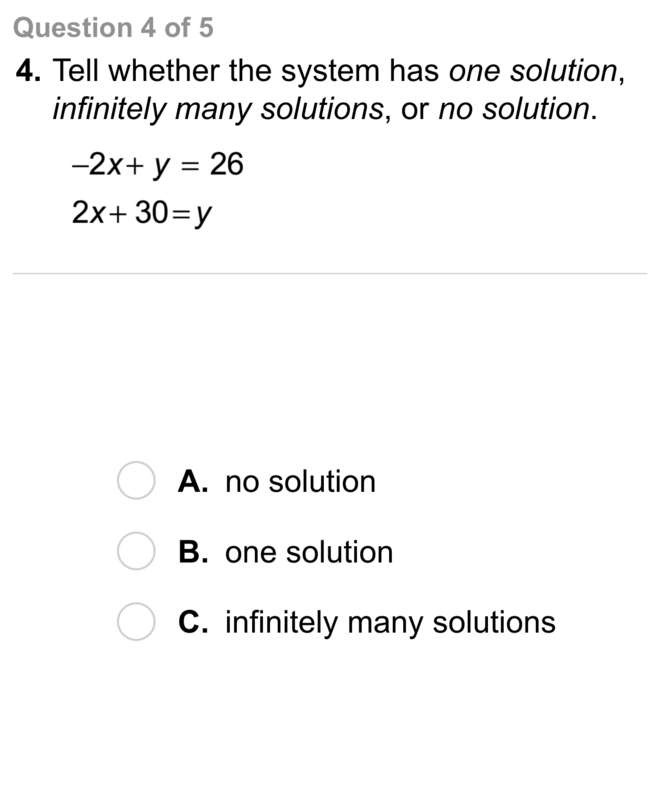 Review Lesson 2-4: Solve the equation. 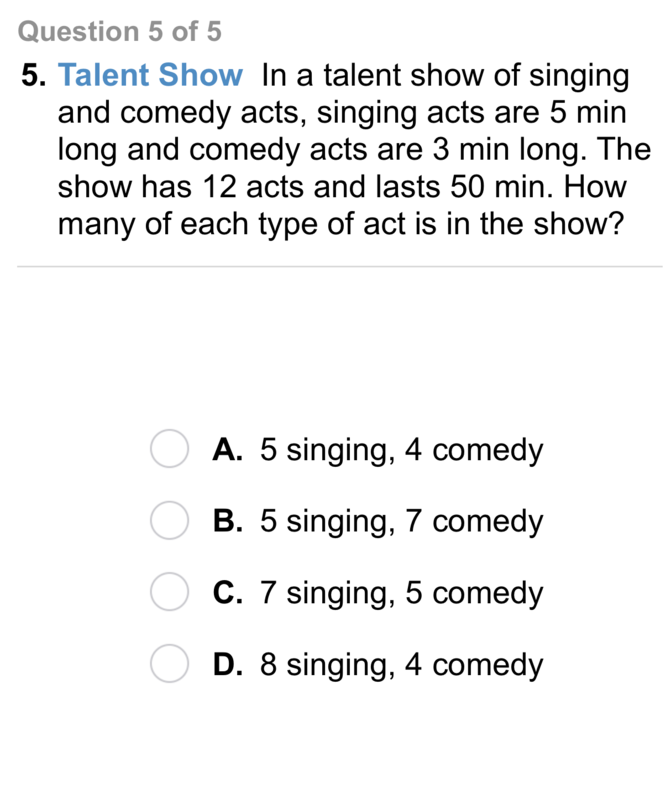 Check your answer. Enter only a number for your response. Vocabulary Review: Classify each expression based on whether or not it contains a variable. Vocabulary Review: Classify each equation based on whether or not the variable is isolated. Use Your Vocabulary: Complete the statement with the appropriate form of the word substitution. ADJECTIVE: "We had a __?__ teacher in social studies today." NOUN: "The coach made a __?__ of one player for another." VERB: "The coach made a __?__ of one player for another."